Bubba is 3 yrs old and could be listed as an American Bulldog cross or an Olde English Bulldogge. Unfortunately we don't know his breed but I can say he's a bulldog mix. Bubba was surrendered to the Victoria SPCA. He's quite stressed at the shelter and prefers to be with people and other dogs. 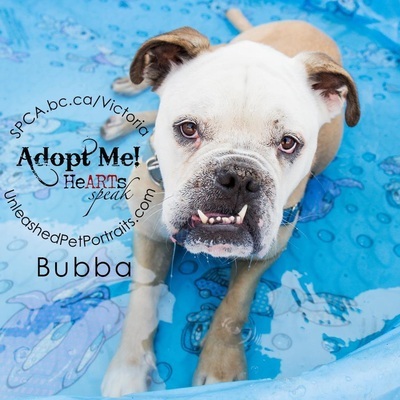 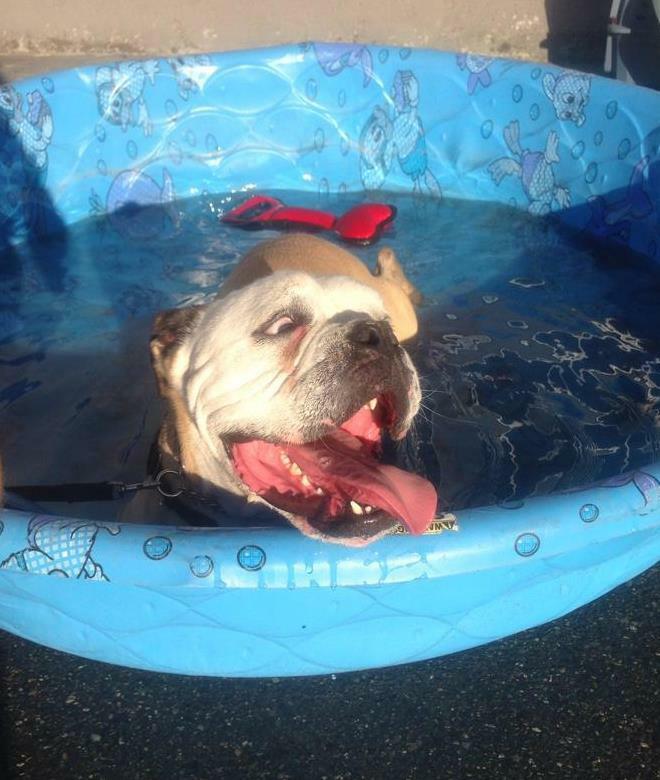 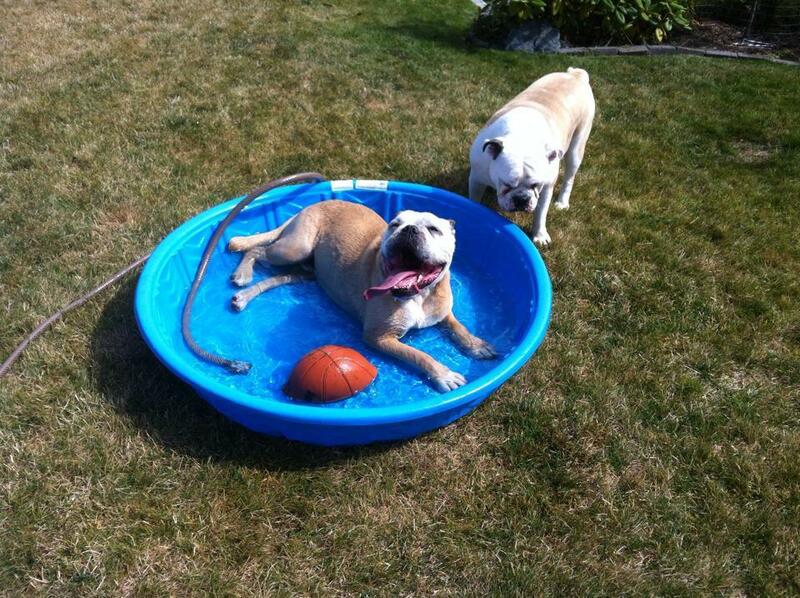 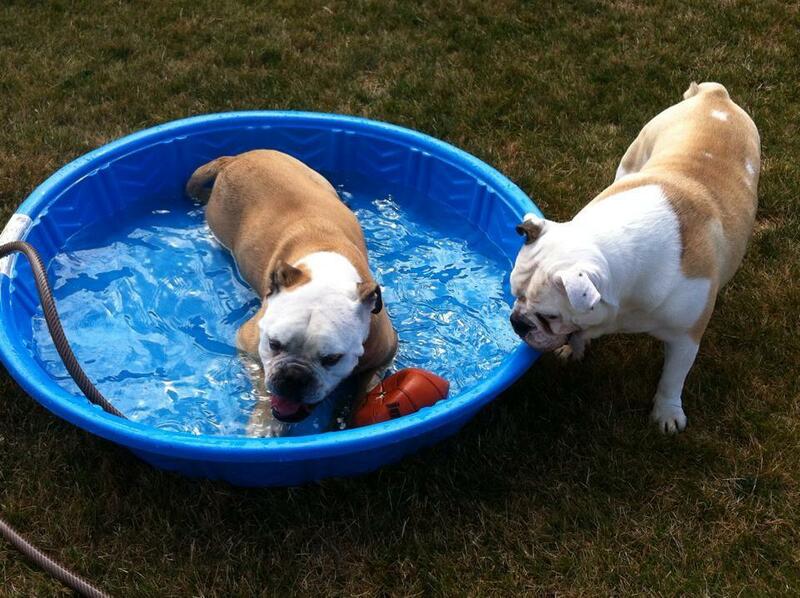 Bubba loves lounging in the pool as you can see most of his pictures he's enjoying cooling off. 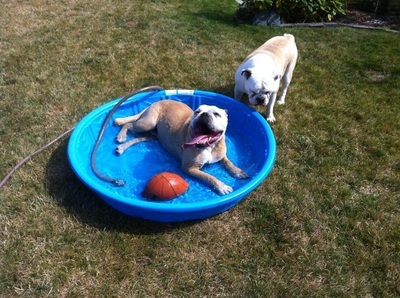 He does have hip dysplasia which gives him a wobbly back end. 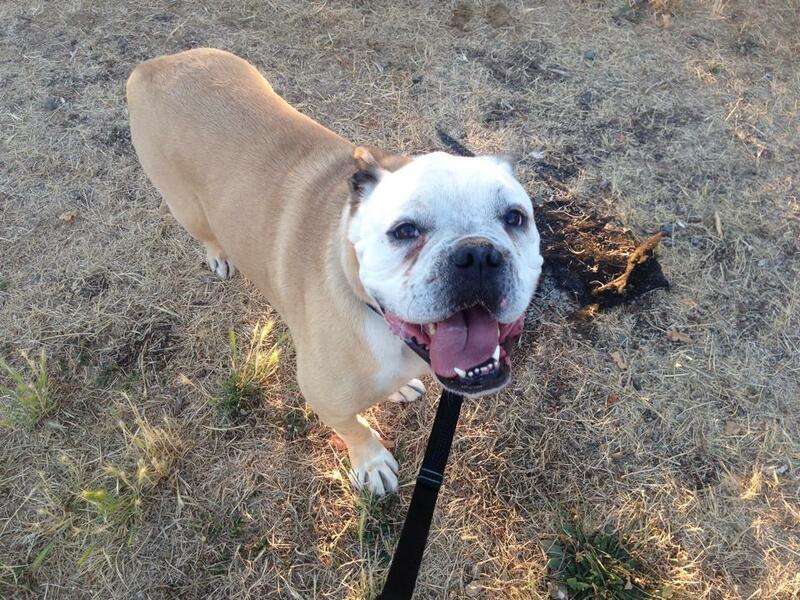 Currently the vet doesn't think surgery at this time is best for his hips but might be a better option in the future. 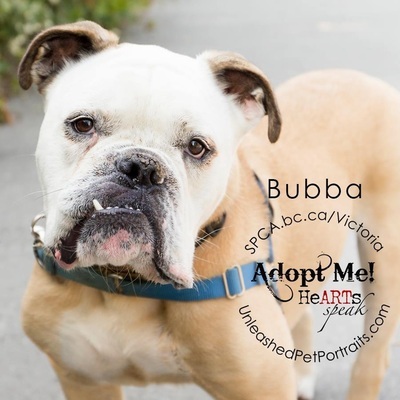 Don't let the hip dysplasia fool you Bubba is full of life and energy. He gives great drool kisses and loves to walk but he can't go that far! 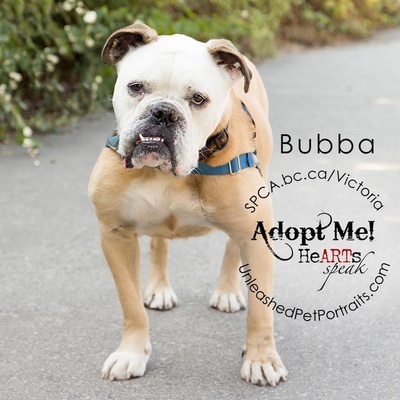 If you are interested in Bubba please let me know. 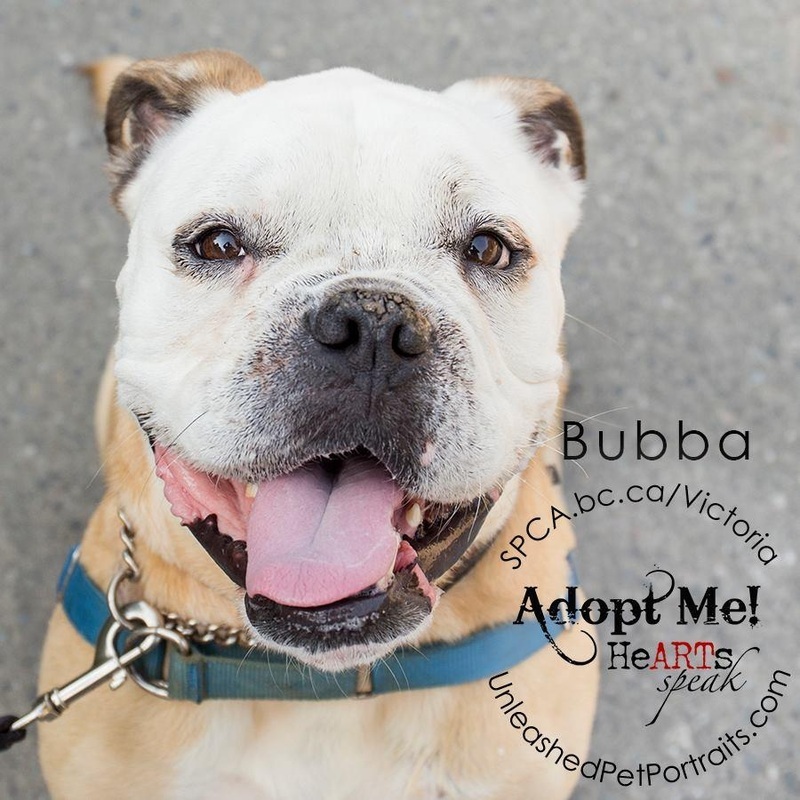 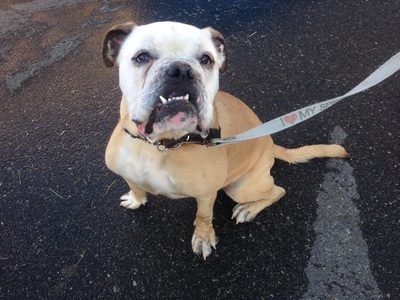 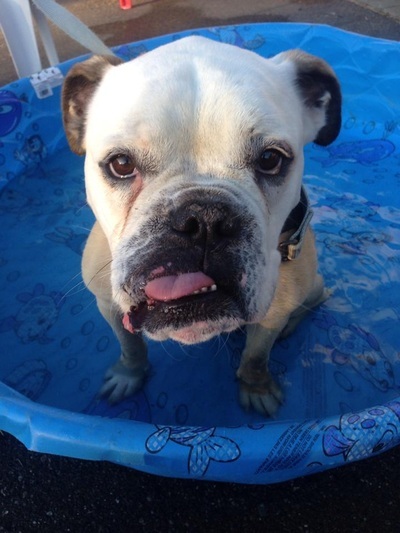 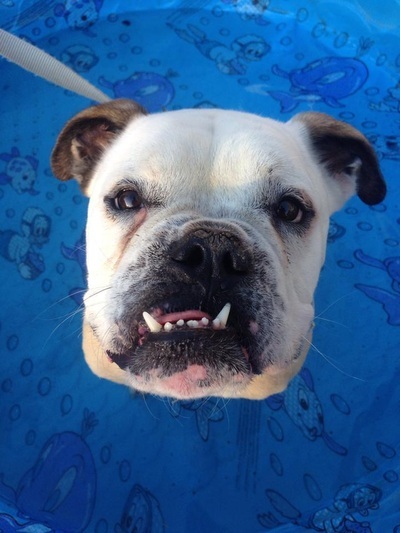 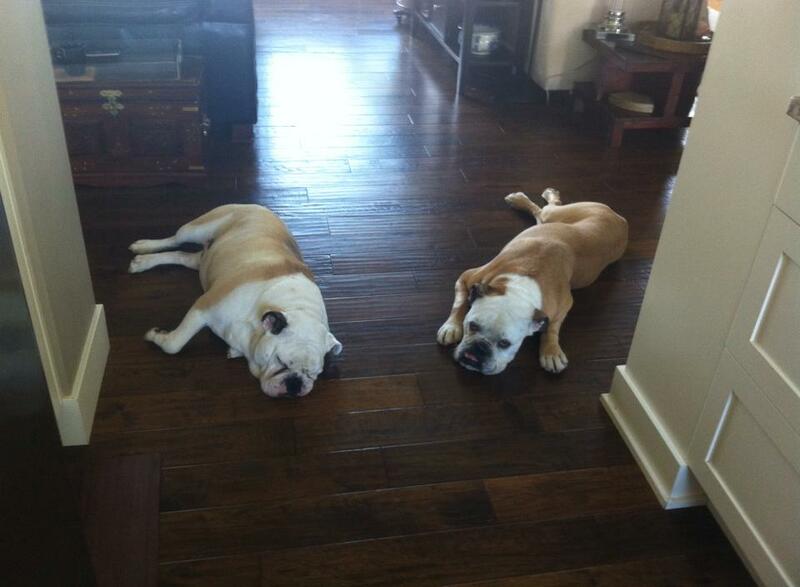 He's a wonderful bulldog that needs his forever home.